Its classic finish is metallic, although one can easily find plastic caps when the bottle uses this same material. Pragmatic, it does not require tools, neither great efforts nor skill to give way to the later enjoyment. It can even have side bands, which after tearing them off can be used to make a small maraca with the body of the cap. It certainly is a versatile item. Despite being a gadget easily associated with leisure and fun, empirical observation warns us that, in general, this cap and its practicality is inversely proportional to the sensory enjoyment that the content of the container can provide. Just further proof that beer and its greatness go beyond the skill of the brewer. Given the appropriate social circumstances, beer can be utterly enjoyed even when it is far from perfect. To end with a personal story, I remember opening a both peculiar and promising bottle with Tibor Domènech -Mad Brewing- in the legendary and distant Animal, in Madrid. It has never been the purpose of this blog to criticise beers but, now that no one hears me, the truth is that beer was a major nonsense -or was in poor condition-. However, that was a great night. 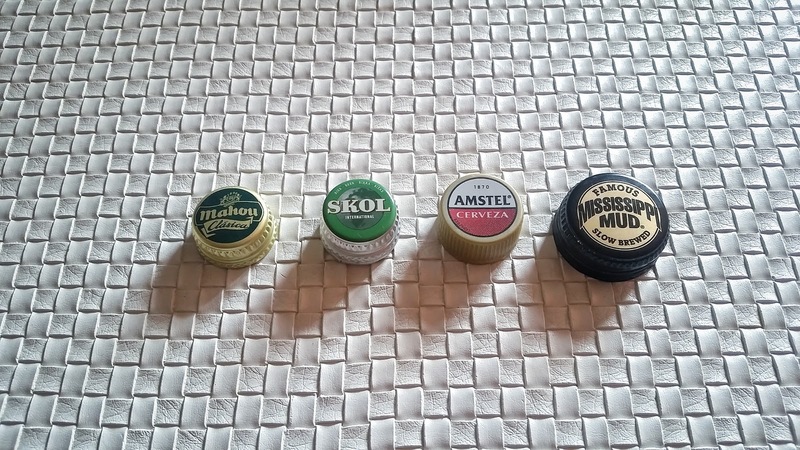 And the cap, which I still keep and which brings so many memories of that vital moment in the capital of Spain, is by far the most special of this small collection.